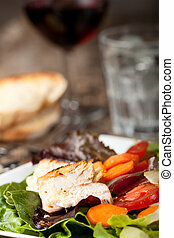 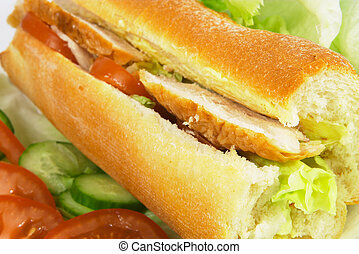 Chicken and salad baguette. 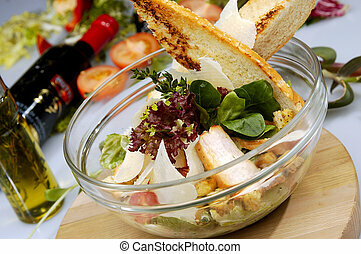 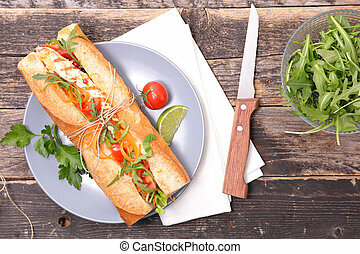 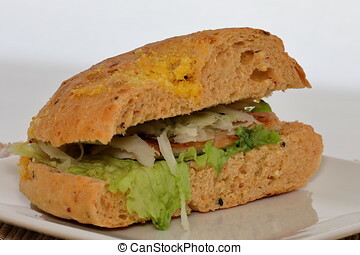 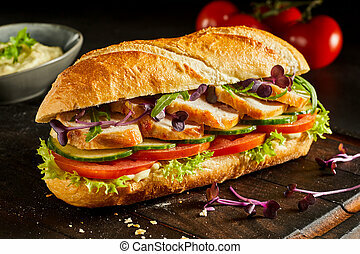 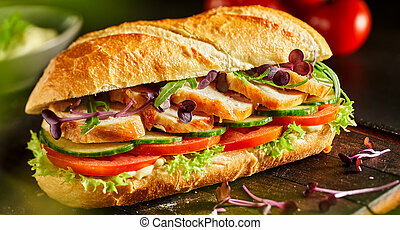 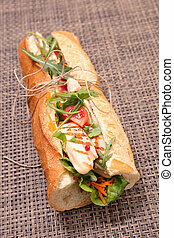 Baguette sandwich, with grilled chicken, tomato, salad leaves, and mayonnaise. 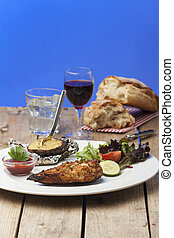 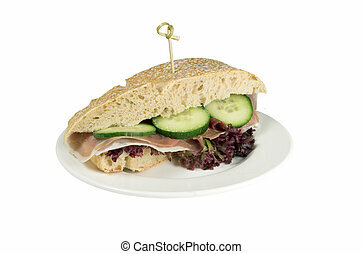 delicious healthy eating, isolated on white. 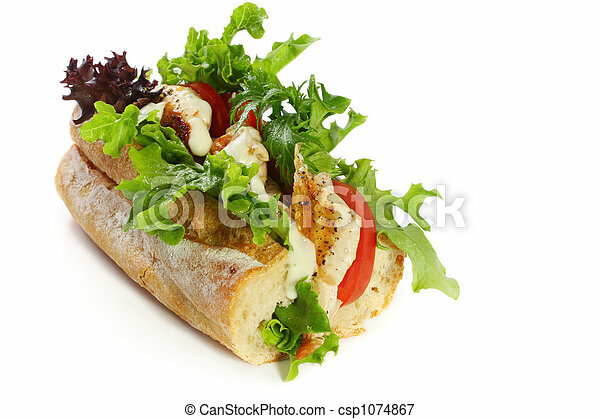 Baguette sandwich, with grilled chicken, tomato, salad leaves, and mayonnaise. 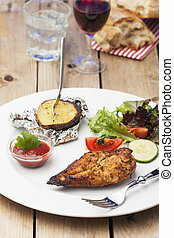 Delicious healthy eating, isolated on white. 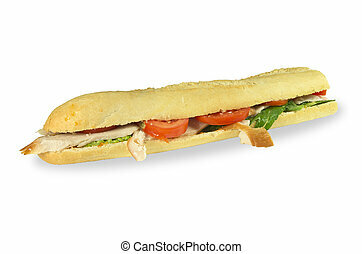 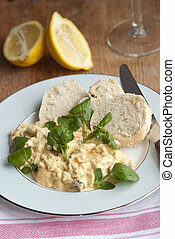 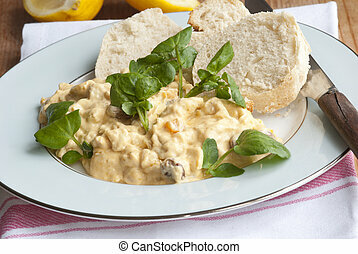 Tuscan chicken baguette on a white background. 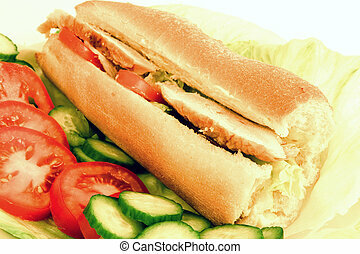 Chicken salad french stick, with lettuce, cucumbers and tomatoes.